The part where we become rich and famous | Book Fight! 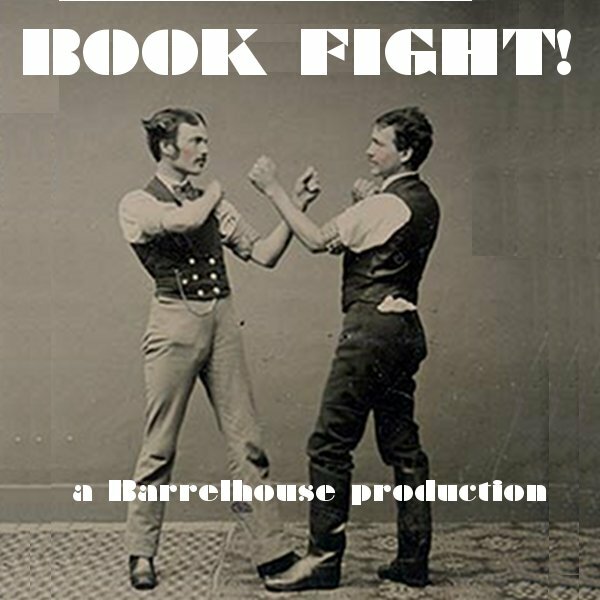 Book Fight is now available in the iTunes store, and we’re happy to say we’ve been given the explicit tag (which doesn’t seem hard to earn, but whatever). If you’ve been listening and enjoying, please take a minute to rate it and write a review. If you’ve been listening and not enjoying, please write a dishonest review. Re: the new logo, neither Mike nor I can explain why the guy on the left seems to be missing a hand.